Want to own a British castle or two? 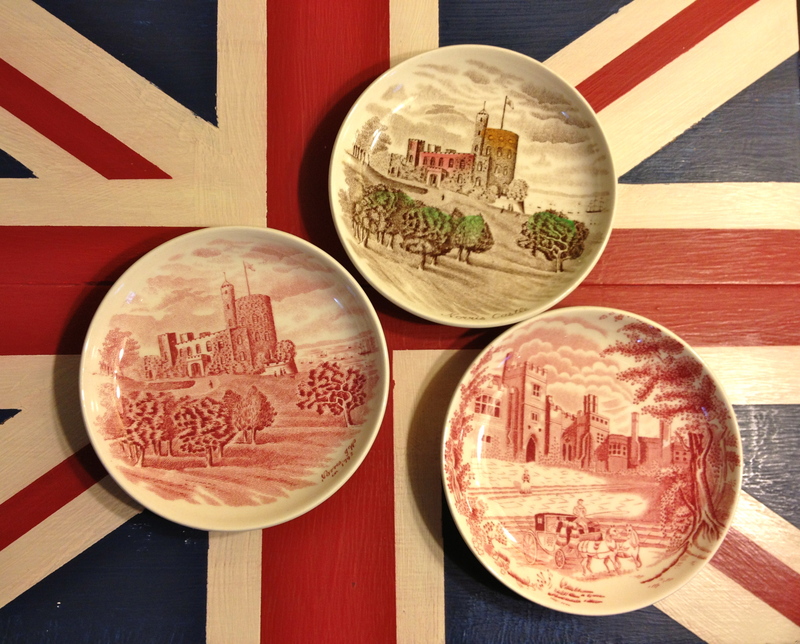 These little Johnson Bros. dishes are Norris Castle and Haddon Hall. Today’s our final set-up day for the Vintage Bazaar. With any luck, our giant tent won’t have blown away in last night’s wind! Here are a few more awesome things I’m bringing. 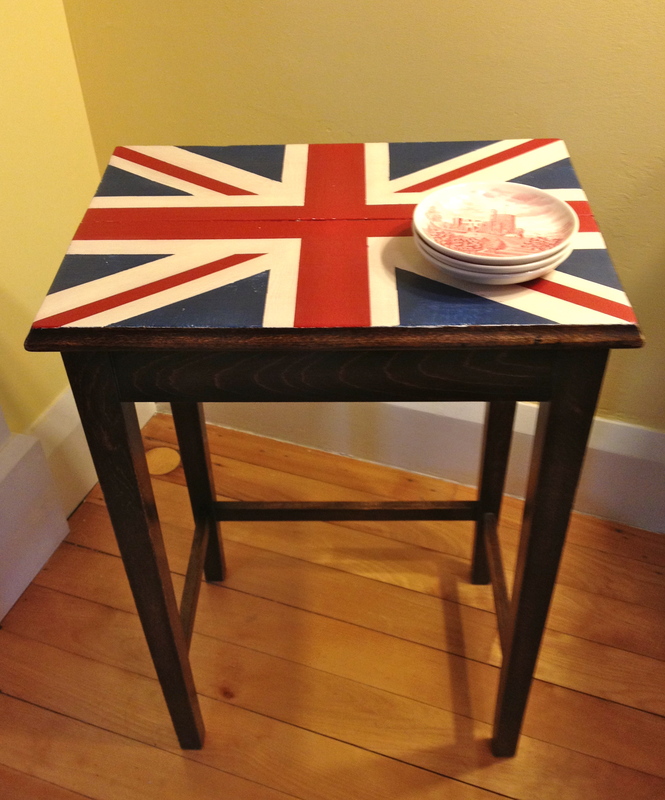 A sweet quartersawn oak side table with the Union flag painted on top. You can’t see the speckles in the oak here, but they’re very pretty. Too pretty to paint over.